Parmissimo was founded in 1983 in Montecavolo di Quattro Castella, in the area Parmigiano Reggiano originated. In just a few years they’ve become a world leader in the production and sale of Parmigiano Reggiano cheese. 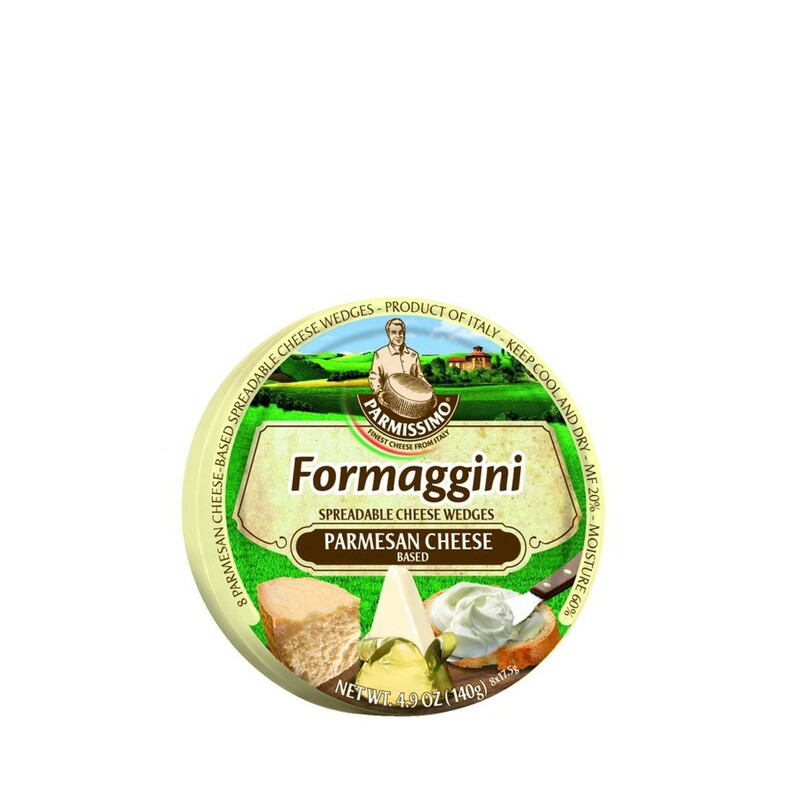 A creamy, spreadable portion with 25% of Parmigiano Reggiano as the first ingredient and only cheese in the recipe, rich in calcium and Vitamin A. These individual wedges are great to spread on bread or enjoyed on their own as a quick snack when you want to indulge in the rich taste of parmesan cheese.